A colorful decor of creative patterns with a paper like texture, this video loop makes for an inspiring video background. A decorative video background for you to use. 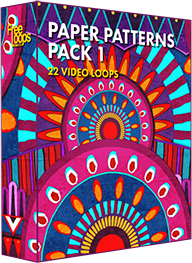 This video loop is part of Paper Patterns Pack 1.